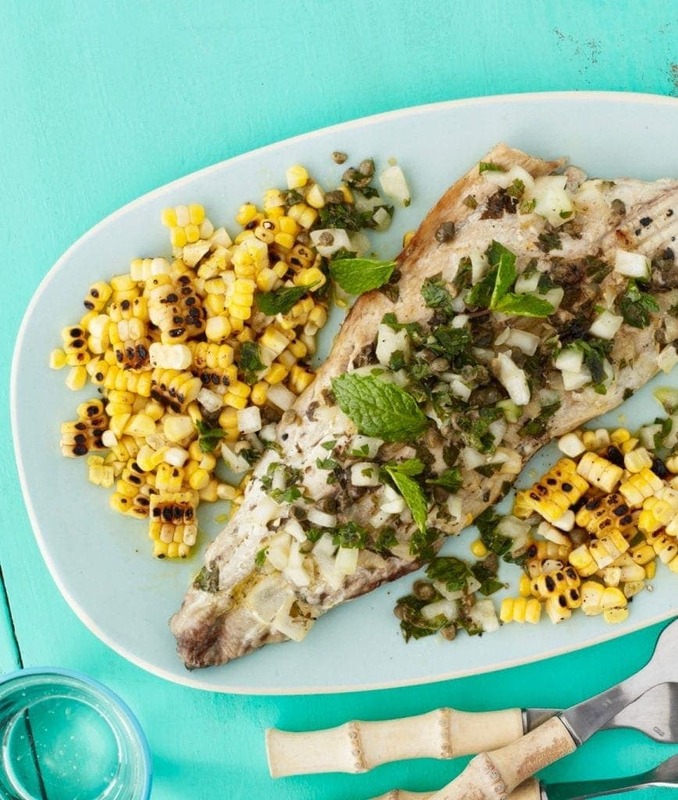 Using wonderful in-season ingredients, Grilled Fish With Caper-Herb Salsa and Corn, is the perfect ending to your day. Fish is always a welcome change on the grill. This flavorful salsa also tastes great with pork, chicken and veggies. Corn is still the talk of the town! Peaches are in season, zucchini has filled everyone’s bellies and corn is still at a peak. 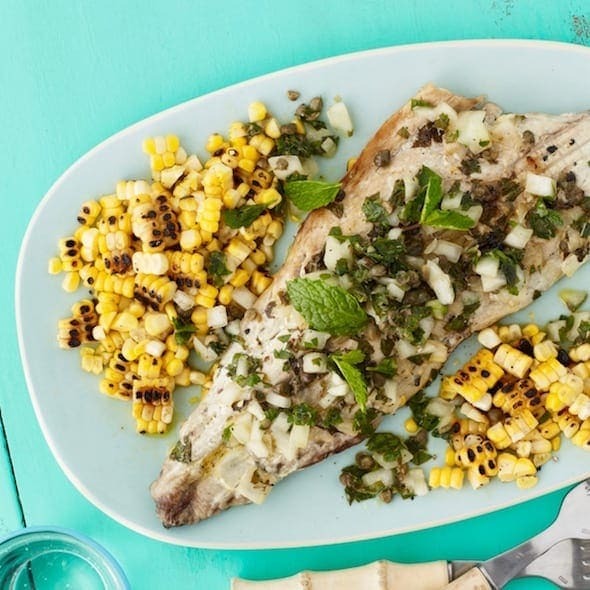 This grilled dinner is to die for using sweet corn, salty capers and fresh herbs. It’s a light meal from the BBQ. I like to say it’s a meal the ladies would grill. Nothing heavy, or sopped with sweet sauce. So corn isn’t the only star of this dish. The salsa is sort of a hero here. Capers play a big role. 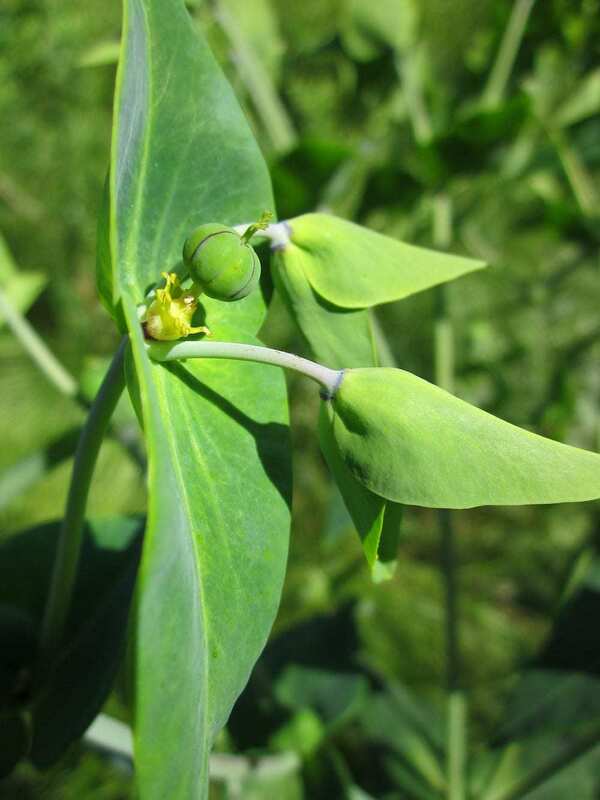 The caper bush, or Flinders Rose, is a plant best known for the edible flower buds (capers), that we often add as a seasoning or garnish in Mediterranean dishes. About the size of a fresh kernel of corn, they are pickled in salt, or a salt and vinegar solution. 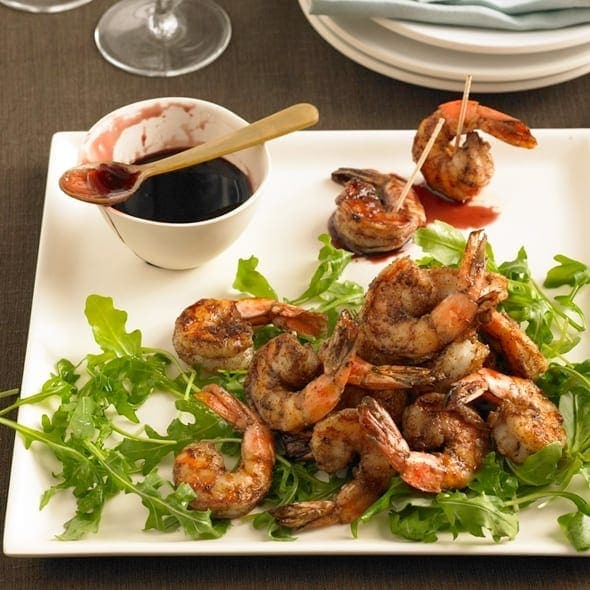 I like them coupled with fish but can be added to salads, pasta, meat dishes and beverages. 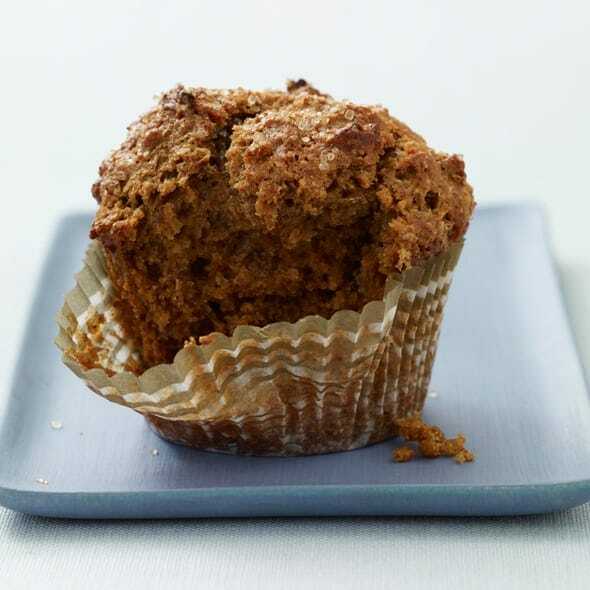 They are very often served with cold smoked salmon – especially lox and cream cheese. Keep a jar handy in the door or the refrigerator and experiment with some of your favorite dishes. For the grilled fish you’ll need a basket. Like this one! It’s not just an extra kitchen gadget. I use mine all the time. 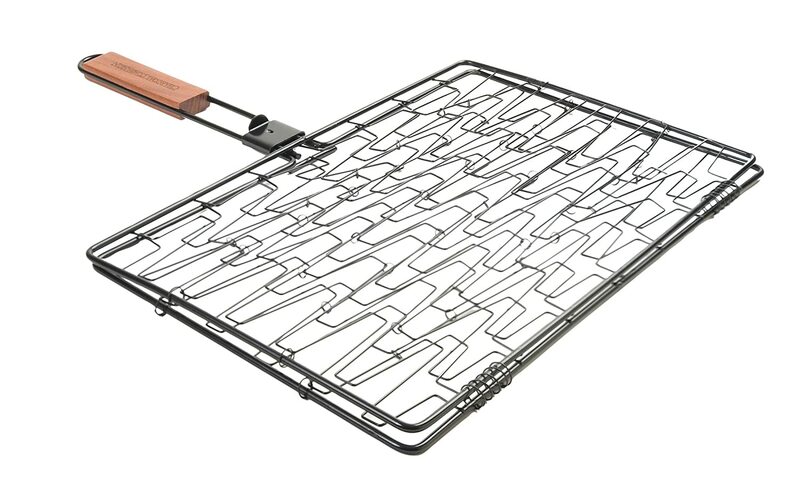 Grilling baskets work great for fish and other delicate meats, veggies like asparagus and those that you cut up. Tomatoes and tomatillos work well in a basket also. Of course you can broil the fish in the oven or fry it on the stove, but grilling it in a basket gives it that smokey flavor that only comes from the BBQ. Love these last summer days, and get your grill on! 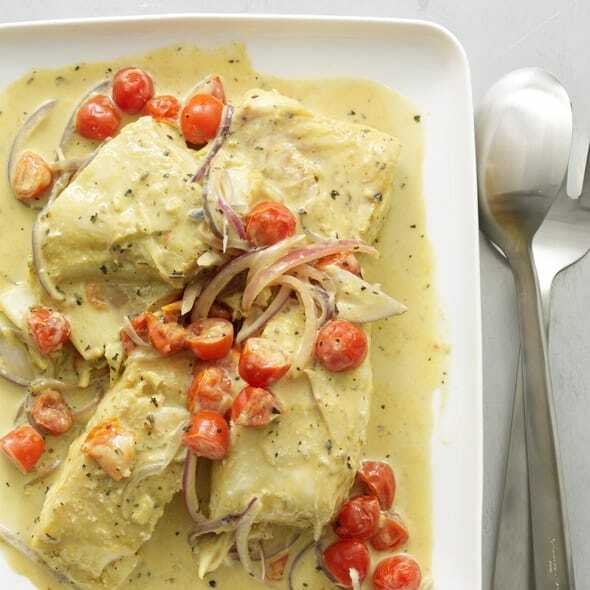 This flavorful salsa also tastes great with pork, chicken and veggies. and olive oil. Set aside. and rub mixture over fish. 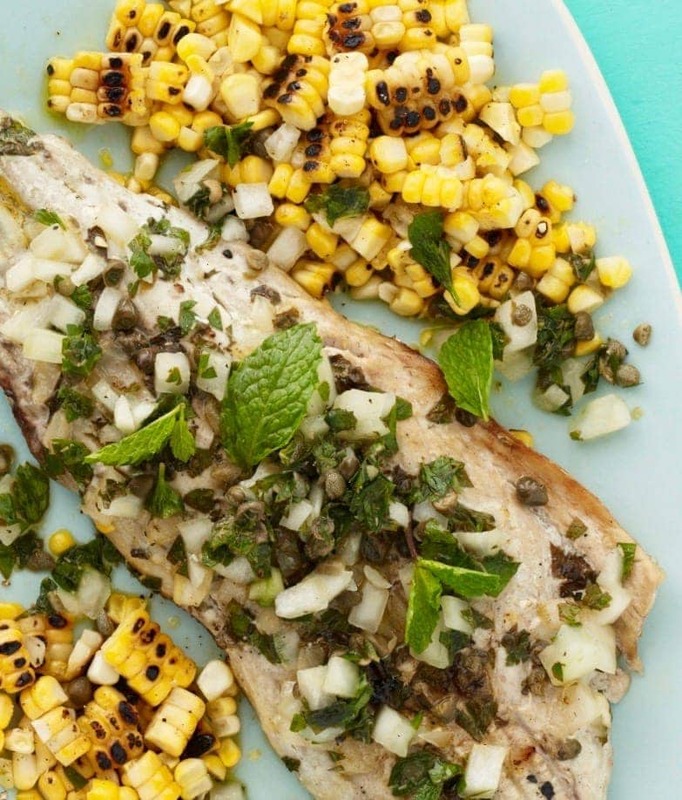 Place fillets in a grill basket with a few sprigs of mint. Grill, turning once, until fish is cooked through, 8 to 10 min total. 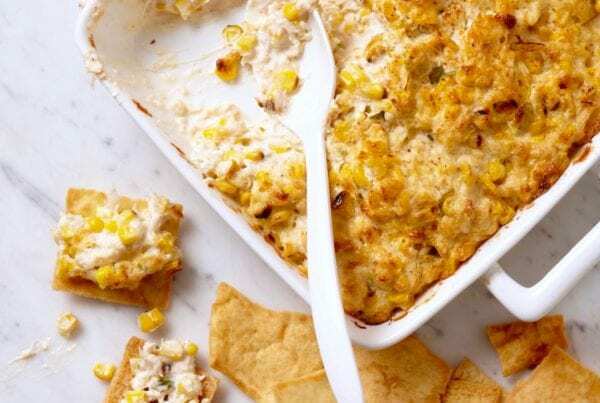 Cut corn from cobs and serve alongside the fish. 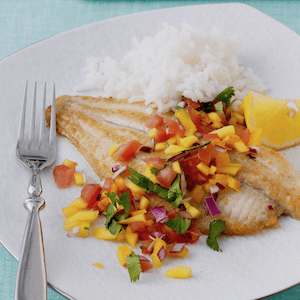 Top fish with salsa and mint springs. 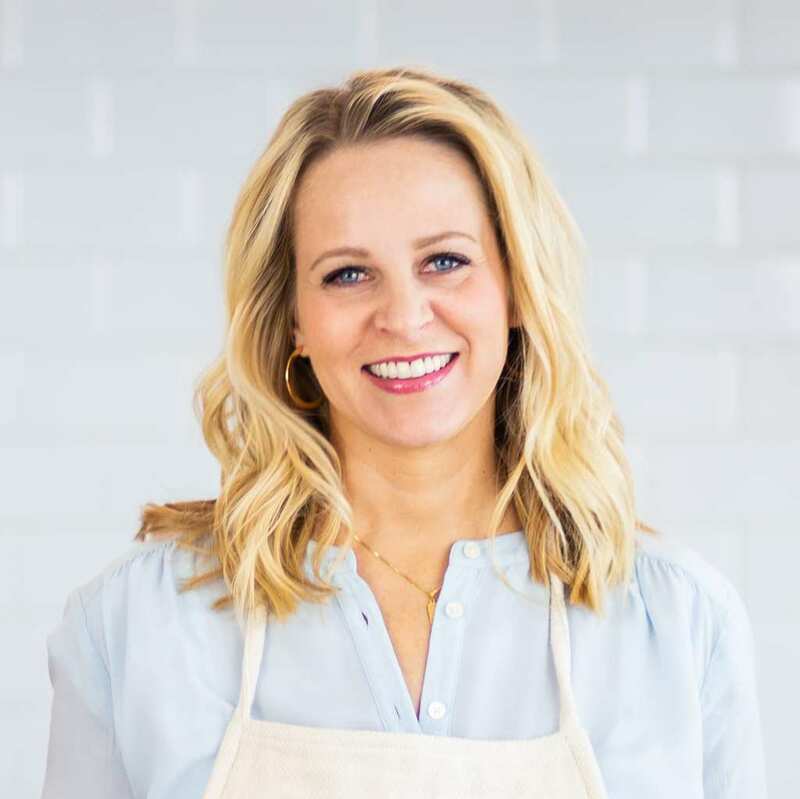 Of course you can broil the fish in the oven or fry it on the stove, but grilling it in a basket gives it that smokey flavor that only comes from the BBQ. 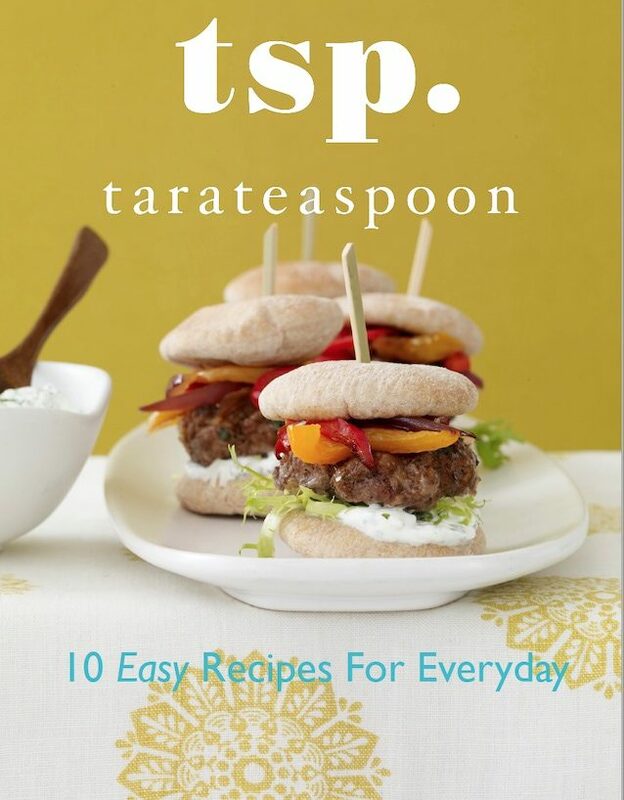 Enjoy end-of-summer meals as long as possible. Here’s another one to throw in the mix. 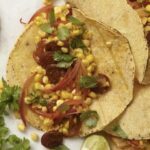 My Corn and Chorizo Tacos are the right balance of sweet corn and spicy sausage. 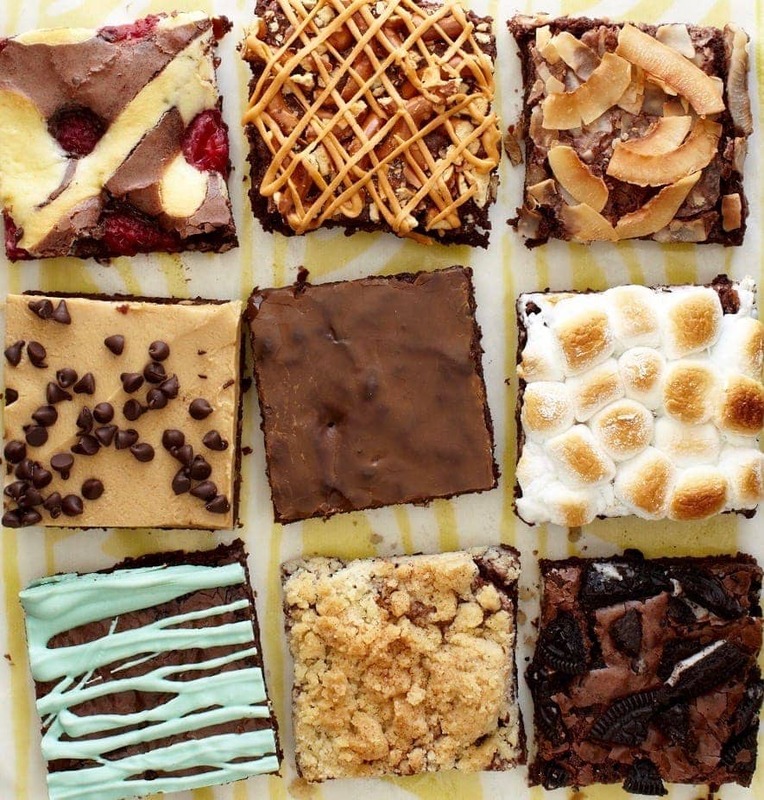 Oh I’m drooling over here! 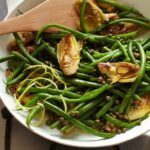 And yet another luscious use for capers, combined with the freshness of lemon, try these Green Beans With Artichokes And Capers. 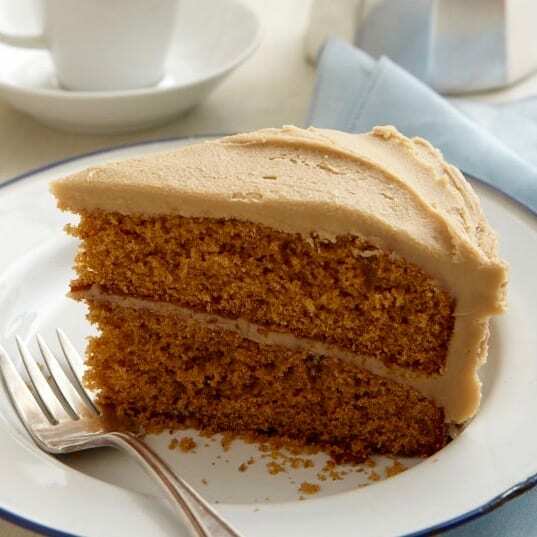 Any time of year – Divine! Ohh good good! Hope you enjoy it! Beautiful! Can’t wait to try this one!